Girlguiding Newton Aycliffe are celebrating £11,000 in funding after the Great Aycliffe and Middridge Partnership‘s project callout. And on receiving the funding, units across Aycliffe have been busy planning activities for the coming months. 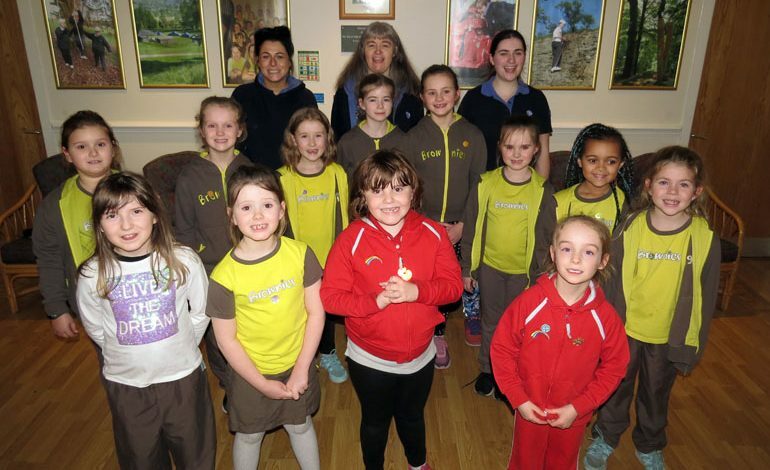 There are currently 125 registered girls and 22 leaders across Rainbows, Brownies, Guides and Rangers in the Aycliffe division. Groups have already been able to enjoy activities booked using funding – 10 Brownies and two rainbows attended “Shake, Shake, Wiggle, Wiggle”, a dance workshop at Waddow in Lancashire. Led by professional dance instructors, the girls explored Scottish Dancing, Garage Dancing and Cheerleading, making up their own moves and chants. After a short performance from the girls all were awarded their Dance Badge. Also this month 95 girls and leaders attended the Odeon Cinema, Darlington for a special Guides only showing of the new Mary Poppins film, this is part of a national initiative promoting family values as well as resilience. The trip was a huge success and enjoyed by all who attended. Activities will continue in the coming months and groups can look forward to a variety of activities.